When individuals have ready access to legal information, they can participate fully in the affairs of their government. By collecting, organizing, preserving, and retrieving legal information, the members of the American Association of Law Libraries enable people to make this ideal of democracy a reality. Legal information professionals have an obligation to satisfy the needs, to promote the interests and to respect the values of their clientele. Law firms, corporations, academic and governmental institutions and the general public have legal information needs that are best addressed by professionals committed to the belief that serving these information needs is a noble calling and that fostering the equal participation of diverse people in library services underscores one of our basic tenets, open access to information for all individuals. We promote open and effective access to legal and related information. Further we recognize the need to establish methods of preserving, maintaining and retrieving legal information in many different forms. We uphold a duty to our clientele to develop service policies that respect confidentiality and privacy. We provide zealous service using the most appropriate resources and implementing programs consistent with our institution’s mission and goals. We acknowledge the limits on service imposed by our institutions and by the duty to avoid the unauthorized practice of law. We have a duty to avoid situations in which personal interests might be served or significant benefits gained at the expense of library users, colleagues, or our employing institutions. We relate to our colleagues with respect and in a spirit of cooperation. We distinguish between our personal convictions and professional duties and do not allow our personal beliefs to interfere with the service we provide. We recognize and respect the rights of the owner and the user of intellectual property. The Special Committee on Ethics was appointed in 1997 by then – President Judy Meadows for the purpose of reviewing the Association’s Code of Ethics and proposing any revisions necessary. The Code of Ethics incorporates by reference the ALA Code of Ethics which has been revised twice since the AALL Code was adopted. 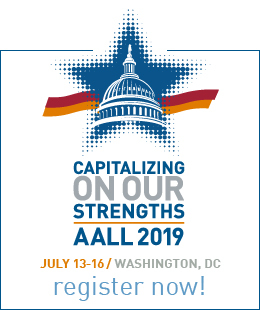 The Special Committee followed a previous AALL taskforce and other groups in studying possible revisions to the AALL Code of Ethics. The Special Committee studied the current Code of Ethics and determined that the Code should be replaced. The Committee examined in detail the codes of ethics of other professional associations, including sister library organizations, and wrote articles for AALL Spectrum throughout the past year which called attention to the Committee’s efforts and mission. The Committee met in Chicago in May 1998 and drafted much of the proposed Ethical Principles. Committee members added portions later, and the final draft was circulated and discussed extensively at the Annual Meeting in Anaheim. Registrants received copies in their packets, they could record their responses on a flipchart located by the entrance to the Exhibit Area, and they could voice their concerns at the second portion of the Open Forum. 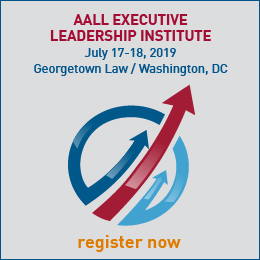 Further, members with e-mail addresses received a copy of the proposed Ethical Principles in a message broadcast from AALL Headquarters. The Committee received several responses and considered them carefully. As a result, the Committee revised some of what was circulated to the membership and brought these Ethical Principles to the Executive Board at its Fall 1998 meeting with the suggestion that they be submitted to the AALL membership for approval. The Ethical Principles were submitted to the membership in March 1999 and approved by an overwhelming majority vote.